We’ve all heard that drinking certain types of alcohol can be good for you, but we often abuse this fact and drink in excess. Most people realize that alcohol can lead to serious illness like liver disease and even damage the heart, and what people seem to forget is that, yes, alcohol is good—in moderation. Alcohol can be good for the body, but not all types of alcohol prove to be beneficial. A new study sought to explore the health effects of alcohol, especially wine, and have actually linked several wine compounds to protecting against neuronal death, potentially delaying the onset of neurodegenerative diseases such as Alzheimer’s and Parkinson’s disease. 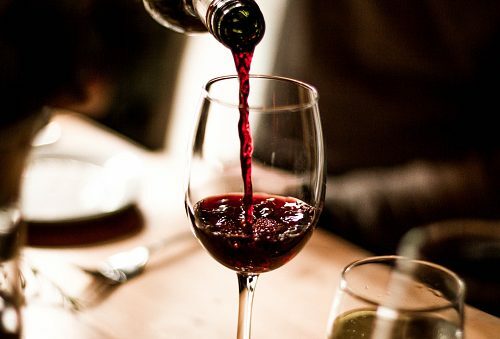 Researchers at the Institute of Food Science Research in Madrid have been investigating the molecular mechanisms that give wine its neuroprotective properties, as it has been known for years that moderate wine intake can be beneficial in delaying the onset of cognitive impairment seen in aging and neurodegenerative disease. But instead of looking at the wine directly, the researchers chose to look at wine molecules after it had passed through the stomach, dubbed wine-derived human gut metabolites. They collected these metabolites from urine and feces of individuals who consume wine on a regular to moderate basis, then added them to human cells under stressful conditions that normally lead cells to neuronal cells dysfunction and death, commonly seen in the early stages of neurodegenerative disease. What they found was that these metabolites protected cells from dying due to stressful conditions. Most surprising was the observance of these metabolites having an effect on different points in the cell signaling cascade responsible for cell death, with the researchers concluding that the exact composition of the wine metabolites—which is dependent bacterial breakdown in the gut—is important in this neuronal cell protection. “In other words, differences in our gut microbiota are leading to the different metabolites. Which underpins the idea that humans benefit from food in different ways. This individual difference is a factor not to be neglected to understand the health effects of certain foods. We are now in need to advance our understanding of the effect of diet in the promotion of normal brain function,” said Dr. Esteban-Fernández from the Institute of Food Science Research. The researchers stress that they are not advocating for the replacement proven medications, but they want to raise awareness that certain food compounds are responsible for health benefits. The inclusion of moderate amounts of wine can have a protective effect against particular neurodegenerative diseases, but if the bacteria in the gut of a particular person does not exist—as seen in those who don’t already have a healthy diet—these protective effects may not occur. Related: How long does alcohol stay in your system?